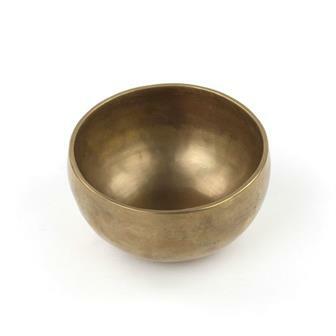 Fair Trade singing bowls which are produced in Nepal. 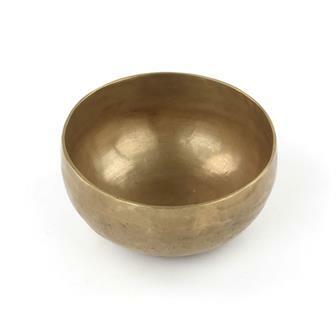 These are new, hand hammered singing bowls which produce beautifully complex notes. 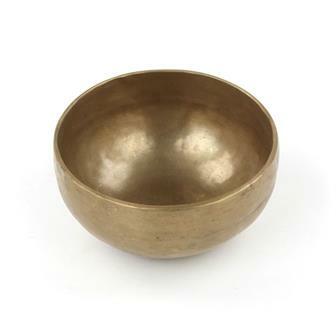 This is only a small range of our bowls. 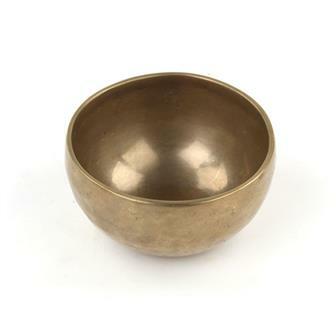 More can be seen in our Faith & Folklore section. 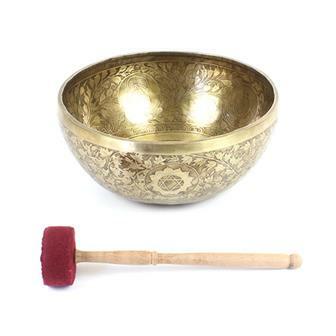 All hand beaten singing bowls are sold with a striker. 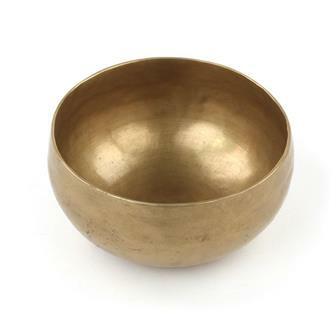 Traditional hand beaten singing bowl produced from a mix of metals, Please note diameter, weight and thickness of bowl will vary as this is a handmade product. 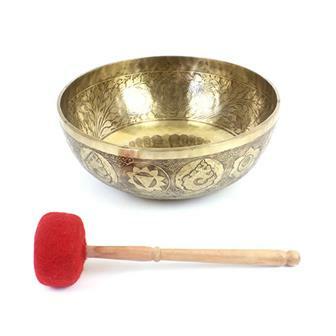 Supplied with turned wood Puja stick. 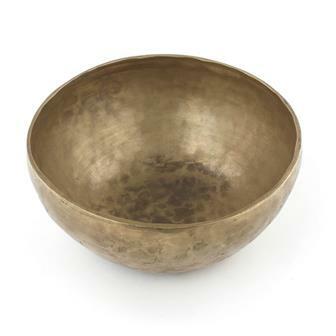 These gorgeous hand hammered, brass singing bowls have a wonderfully complex set of overtones and harmonics. Each comes unboxed with a wooden striker. 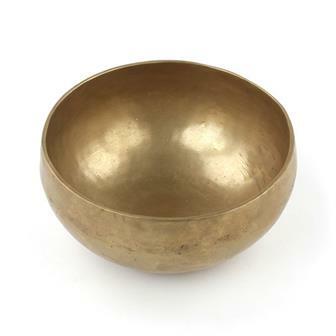 These bowls are sold by weight and circumference will vary between shipments. 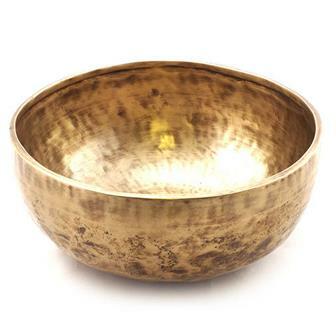 These stunning hand hammered, brass singing bowls have a wonderfully complex set of overtones and harmonics. Each comes unboxed with a wooden striker. 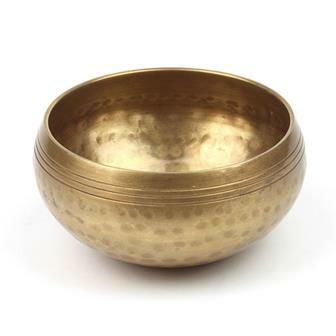 These fantastic bowls are handbeaten in Nepal and then very intricately etched with a depiction of Buddha in the centre and the Om Mani Padme Hum mantra in Sanskrit on the outside. 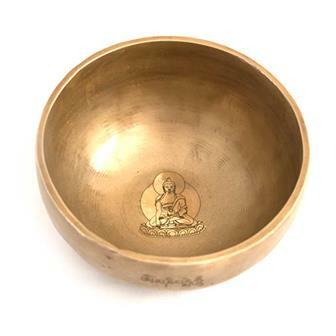 These fantastic bowls are handbeaten in Nepal and then very intricately etched with a depiction of White Tara in the centre and the Om Mani Padme Hum mantra in Sanskrit on the outside. This top quality, hand beaten singing bowl has been beautifully decorated with a Buddha's footprint motif in the base of the interior. 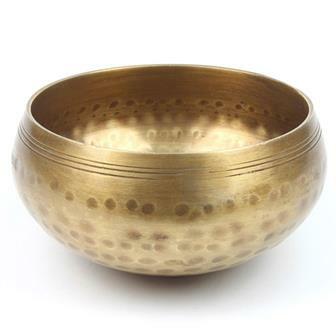 Exquisitely detailed leaf and chakra patterns feature on the outside. 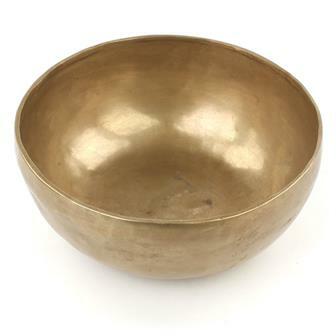 This very special bowl has a terrific, rich sound. 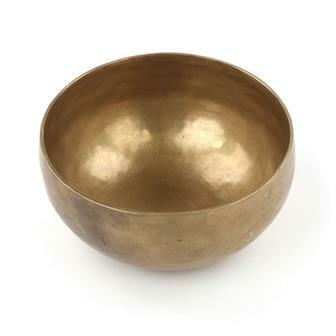 It is unique and is perfect as a centrepiece to a collection. 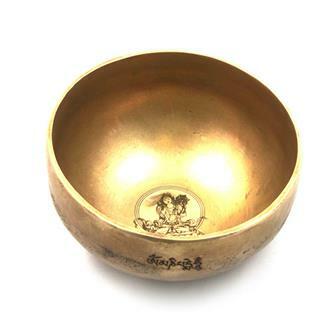 This top quality, hand beaten singing bowl has been beautifully decorated with a Buddha's footprint motif in the base of the interior. Exquisitely detailed leaf and chakra patterns feature on the outside. 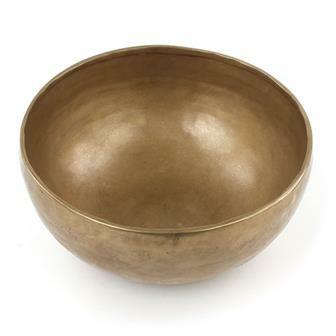 This very special bowl has a terrific, rich sound. 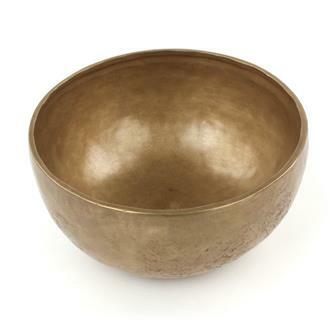 It is unique and is perfect as a centrepiece to a collection. Audio recordings of this bowl are available on request.